Leader of the New School..Literally! School Founder and Author Dr. Mills shares his vision for tomorrow's leaders. opening a new school and his latest publication. What are the details of your latest book and the inspiration behind it? I got hired as principal of Malcolm X Shabazz on August 31, 2011, only a week before school began. Being the fourth principal in four years, I knew that 180 days was all I had to turn the school around. The book tells the story of the 180-degree turnaround I needed in life, which prepared me for those 180 days at Shabazz. I wrote the book to provide explicit strategies on how my team and I transformed the school. Everything you will read in this book comes from my obsession with learning and doing anything I could to ensure that our youth are afforded the opportunity to receive a high-quality education despite the chaos and adversity they face in their daily lives. With the knowledge contained in the book, coupled with a “By any means necessary” mindset, anyone can be the transformational leader they aspire to be. I am asking readers to take a journey with me as I revisit my first school year as a high school principal. I know school districts are looking for transformational leaders, not leaders who have transferred from one school to the next. All children deserve to experience a school where the culture is stronger than any social group outside its walls. Between my determination to ensure student success and the fact that my team and I accomplished something as significant as the Shabazz turnaround, I felt it was important to share the things that worked, with any educator interested. What were the reasons you decided to open your own school? My ultimate goal is to build a legacy. The things that I’ve done for my culture, for my people, the impact that I have made on education, it will live on after my soul exits my body. Decisions will be made, in the field of education, based on things that I’ve done to empower my generation and generations to come. The inception of the “College Achieve Paterson” is the product of the words I shared in the previously. Our mission is for every College Achieve Paterson student to be prepared, excel, and graduate from the top colleges and universities in the nation. The methods selected by my team and me to achieve our mission will be codified and shared with school districts throughout the country and prayerfully across the world. Challenges are inevitable in anything new. I can recall getting a call on New Year’s Day from the building manager and him saying “hey I just wanted to let you know that water is pouring out the front door of the school.” I immediately headed to the school and found that a pipe burst in one of our classrooms, water traveled to three classes, the central office, and main lobby. I had to repair the damages before students arrived the following day. Most school leaders would put a call into their facilities manager. However, as a startup school, I do not have that luxury. Thus I spent the remainder of my new years day ensuring that a plumber, cleanup crew, and electrician made the necessary repairs to open the school the following day. Thankfully, I have been able to mitigate many challenges through the hiring of a staff that travels the spectrum of experience at various levels, which provides the appropriate balance of energy and wisdom. What is the long-term plan for the school? The long-term plan for the school is to ensure that we achieve the mission we have established and expand. My growth plan over the next four years increases our student population from 276 to 960. After four years I will assess our performance, if the data reflects success, I will consider expanding to other cities in and outside of New Jersey. Tips on how others can reach and exceed their goals? 1. Narrowed my focus from many things to one or two. 2. Learned to say NO to things that did not align with my attention. 3. Prayed daily, reflected often and thanked God for every blessing no matter how big or small. 4. Stayed far away from toxic people and negativity. I focused on wins and lived in possibility. I share my tips in hopes that someone reading this can use them to expedite their journey to achieving their goals. Dr. Daniel Jean is a Newark, New Jersey native who rose from a 1.9 grade point average to earn his doctorate from Seton Hall University. He is an author, consultant, motivational speaker, swagger trainer, playwright, poet, and the founder of (wordstravel.org) an organization that offers empowerment and “edutainment” for groups of all ages. He serves as the Executive Director of the Educational Opportunity Fund Program (700+ special admits) and Academic Development at Montclair State University. His previous roles include serving as the Director of Student Activities, Director of Leadership Education, and Director of the Center for Academic Advising, First Year Experience and Testing. His research focuses on the academic and social integration of first-generation college students and his retention initiatives has resulted in a 91.9% first-year retention rate and a 61% increase in the four year graduation rate of a so-called “special admit” population. He has conducted over 550 trainings, seminars, keynotes and webinars across the country including for PSE&G and the McDonalds Corporation. He has published two books and has taught college courses in transformative leadership and hip-hop culture. 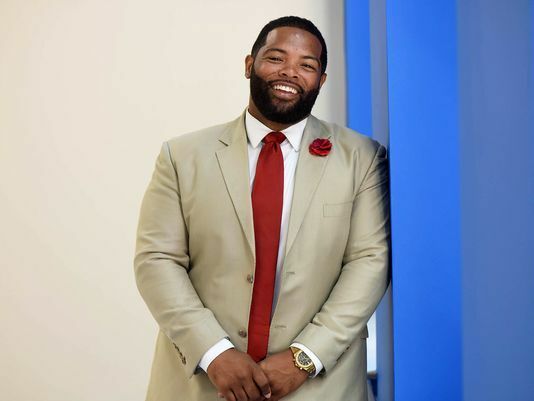 He is the chair and founder of three statewide college access/awareness conferences which brings over 1,000 high school scholars to his campus annually. He also founded the Richard Wilson/Jason James Mentorship Program for high school/college scholars and young professionals. He has also founded a professional consortium titled the Male Education Network (MEN) for men in education Pre-K-20+ and PhinisheD/FinishEdD for current/future doctors. His most recent play “Til Death Do Us Part?” ran Off-Off-Broadway in NYC August 2010 and August 2012. The Wordstravel Documentary highlighting his journey is currently in production and he has a goal to deliver 1,000 Swagger Seminars before he retires.